Sydney, Australia – 24 July 2017 – New research by Bond University and the Interactive Games & Entertainment Association (IGEA) has found video and computer games are right up there with the kitchen sink with 97 per cent of Australian households with children stating they have video game devices, eight out of 10 owning multiple game devices. Digital Australia 2018 studied 1,234 Australian households and 3,135 individuals, revealing it’s not only kids that appreciate game time. Almost half of parents play games online with their kids, with reasons for playing together including family enjoyment, education, and as a way to monitor what children play. The study revealed that 67 per cent of people surveyed play video games. Older Australians continue to make up the largest group of new players over the past six years with 43 per cent of people aged 65 and over playing video games. Females account for 46 per cent of all players. Dr Jeff Brand, Professor at Bond University and lead author of the report, said that the average age of players has increased by a year to 34 and that motives for playing are shifting. The Digital Australia study, which has been running since 2005, also highlights just how social game play has become. This year’s report found only eight per cent of Australians play alone, with the remaining 92 per cent playing with friends, partners, family and strangers online at least once in a while. Most players share their enjoyment of games with others in the community through various methods. Seven in 10 Australian players have watched videos and used walkthroughs to help their gameplay and more than a quarter have posted their own videos of gameplay. Australians also enjoy watching other people play games, particularly at a competitive level with a third watching e-sports. The average Australian consume games just like other media – 89 minutes is the average daily total of all game play. Gaming for health – Australians value play for better health and positive ageing, whether that be to improve thinking skills (84%), improve dexterity (78%) or manage pain (59%). Ninety per cent say they play to increase mental stimulation, 80 per cent state video games help fight dementia, and 54 per cent agreed playing games can help increase mobility. Gaming for education – Games are increasingly finding their way into education, learning and training settings. A third of Australians have used games at work, and one in two parents reported their children have used games at school. Parents are also speaking with their children about playing online safely (84 per cent). 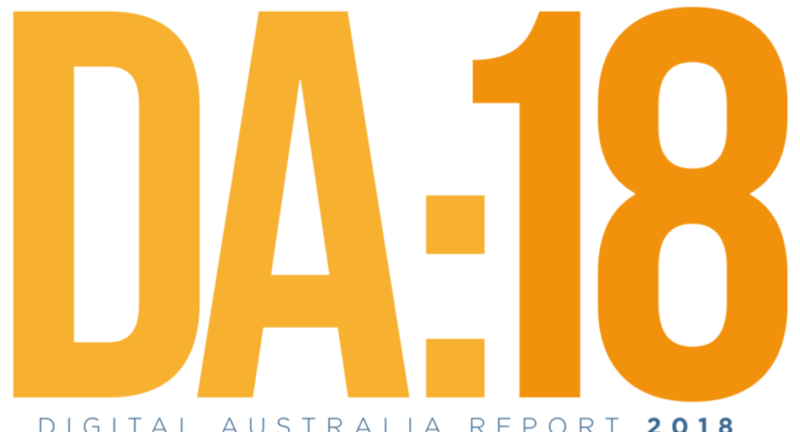 Digital Australia 2018 is the seventh study in a series of national Australian research that began in 2005. The report, which is based on a study of 1,234 Australian households and 3,135 individuals, looks at the demographics of Australians who play games, play habits, behaviours and attitudes.